With integrated peripherals, touch screen and PC in a secure, tamper-proof housing, kiosks can be placed in an unattended public area. Touch Screen Middle East supplies a full range of modern and stylish touch screen kiosks from Power Products, the main producer of information kiosks and self-service terminals in Europe. 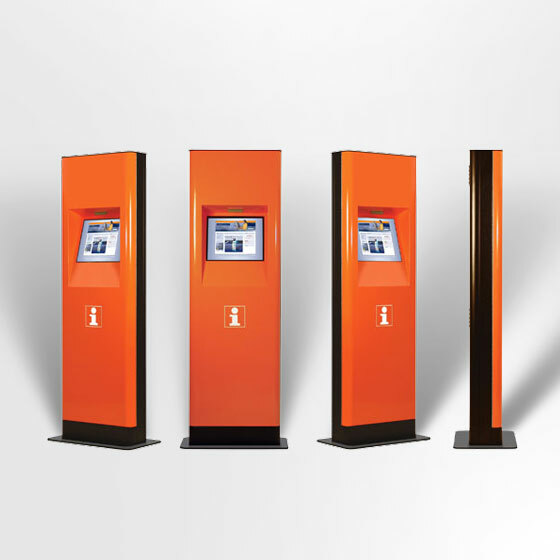 Complemented by a comprehensive selection of accessories, the Power Products kiosk range offers an attractive and cost effective solution for a wide variety of business and information applications. Applications such as public internet access, ticket dispensing, bill-payment terminals and shopping mall directories, all require different options, and a large range of peripherals can be integrated in the touch screen kiosk including, amongst others, vandal-proof keyboards, printers, scanners and card readers. There is no minimum order, so regardless of how many touch screen kiosks you require, we can insure that they will be exactly tailored to meet your application. An attractive design plus versatility, together with a strong build quality, makes the Eagle the ideal kiosk for most indoor applications. 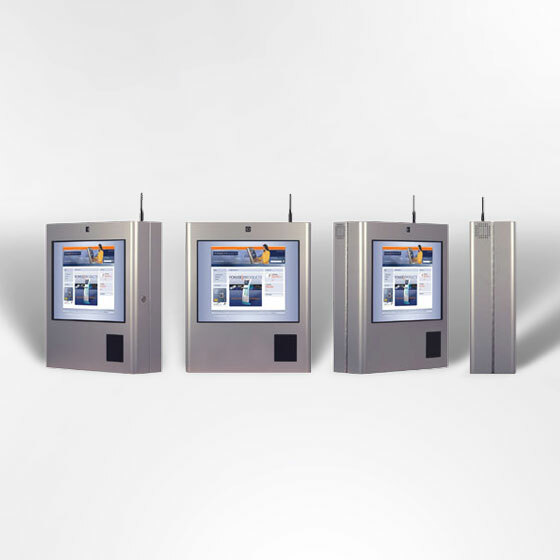 Strong build quality makes the Hawk the ideal touch screen kiosk for most outdoor applications. Suitable for public information systems - tourist and city information systems for example. Sparrow touch screen kiosk is suitable for a number of retail and other applications where space is a limiting factor and various peripherals are required. 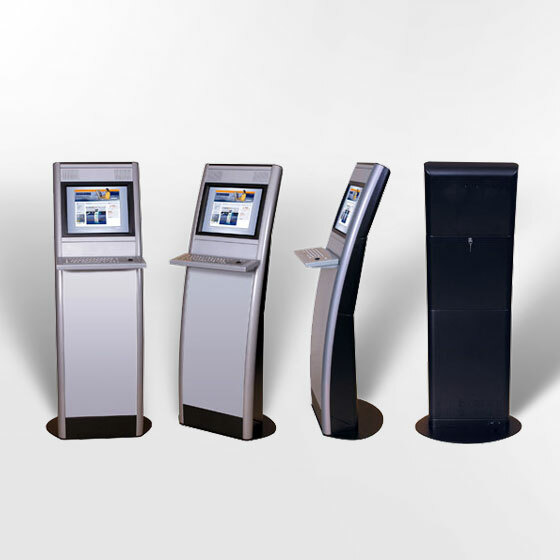 The Sparrow is a compact, durable and easy handling kiosk, originally designed for wall mounted installation.